Samantha 1965 Vintage Doll. This highly collectible 1965 Samantha doll in it's original mail catelogue box is very rare to find. 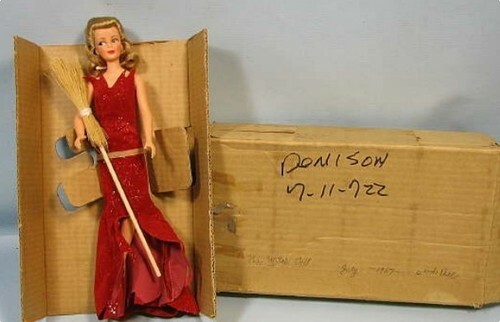 This doll is the same as the 1965 Ideal doll but this one is by Sears,the mail order company. Cost in 1965 was $3.99c -worth hundreds today!. Wallpaper and background images in the Bewitched club tagged: bewitched samantha 1964 doll vintage sears samantha doll collectiobles photo. This Bewitched fan art contains packing box and packing case. Aww,this is really nice,i just love it!